Randy has been deeply involved in numismatics for over 35 years. 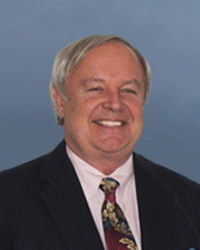 In the 1970’s he helped to build top quality investment portfolios for professional groups in south Florida. In 1977, Randy was elected President of the West Palm Coin Club. Two years later, he was elected to the board of Florida United Numismatists (F.U.N.). Then, in 1989, Randy was elected President of F.U.N and currently serves as F.U.N. Educational Chairman, a position he has held for 30 years. A prolific writer, Randy has had over 200 articles published in Coin World, Numismatic News, F.U.N Topics and The NSDR Journal. He has written a monthly column for Coin World titled “Grading Insights” since 1993. Randy has been presented with several awards during his numismatic career, including three A.N.A. Presidential Awards; FUN’s Excellence in Numismatic Education Award; and the National Silver Dollar Roundtable’s Lifetime Achievement Award. Since becoming a professional in 1989, Randy estimates he has professionally graded over to 2 million coins!